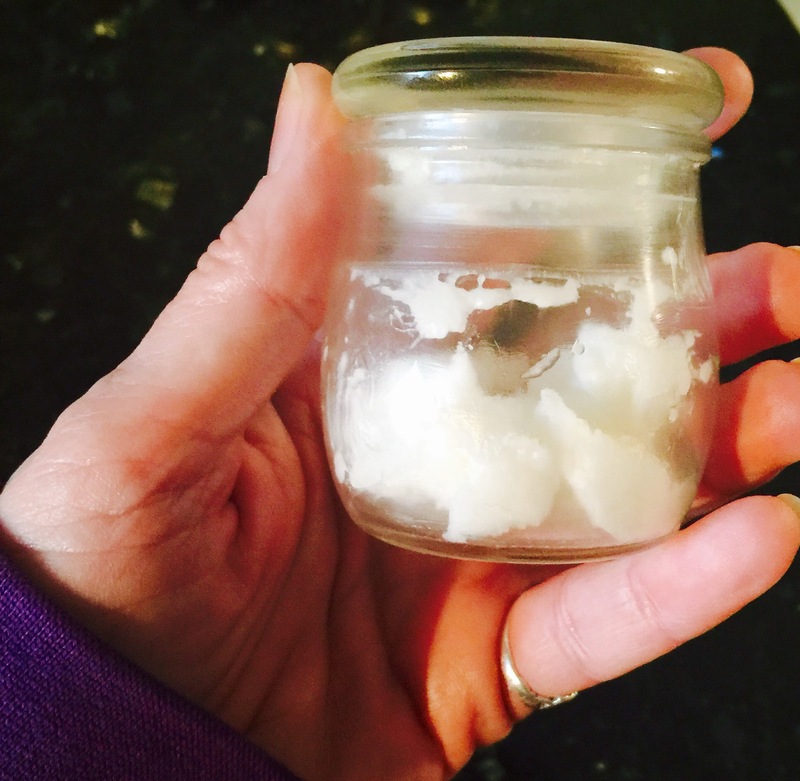 I’ve been making my own face serum for several years, using the wonder ingredient, coconut oil. I add vitamin E oil and Calendula oil for a lightweight yet rich blend that leaves my skin moisturized and nourished. I love the simplicity and ritual of creating my own care products. I had yet to try conditioning my hair with coconut oil…until tonight. I’ve had long hair most of my life. 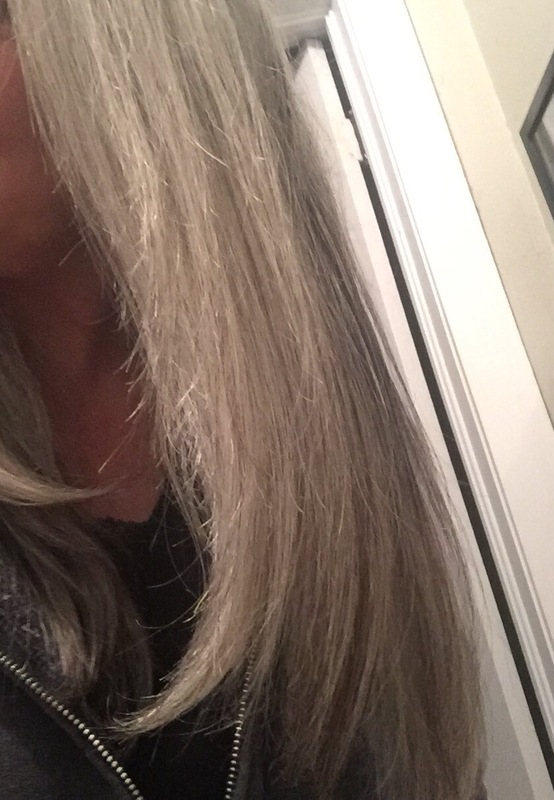 And in spite of my age, and the fact that my hair has been slowly turning silver since I was 21 years old, I still like my locks long. I’ve been called a hippie, and honestly, that doesn’t bother me one bit! I take good care of my hair. Yet I’ve never had a hot oil treatment. Coconut oil is a great choice for several reasons. It is naturally anti-bacterial and rich in carbohydrates, vitamins and minerals. The oil contains lauric acid, which has a high affinity for hair protein, and easily penetrates inside the hair shaft, due to its low molecular weight. And it deeply moisturizes, protecting the strands of hair from damage and from becoming too dry. A treatment with coconut oil was so simple. I added a tablespoon of the oil, which is in a solid state when cool, to a small jar and took it into the shower with me. The hot steamy environment melted the oil so that it was ready to use when I finished shampooing and rinsing my hair. I did not add my regular conditioner this evening. 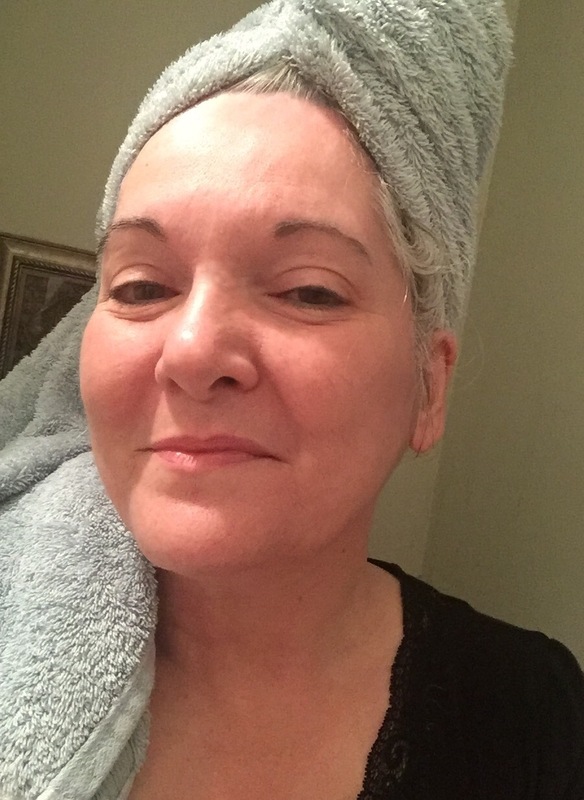 After towel drying my hair and combing out tangles, I poured a small amount of the liquified coconut oil into the palm of my hand and rubbing my hands together, I worked it through my hair, a section at a time. I avoided the scalp area and especially concentrated on the ends of my hair. I slid a wide toothed comb through my hair, to evenly distribute the oil. And then the whole damp, oiled mass was wrapped up snugly in a towel. For a couple of hours I did other things, letting my scalp provide warmth while the coconut oil did its work. At last it was time to return to the shower, to shampoo out the coconut oil and rinse well. After once again combing through my hair, I used a blow dryer for a few minutes, so I could better gauge the results. 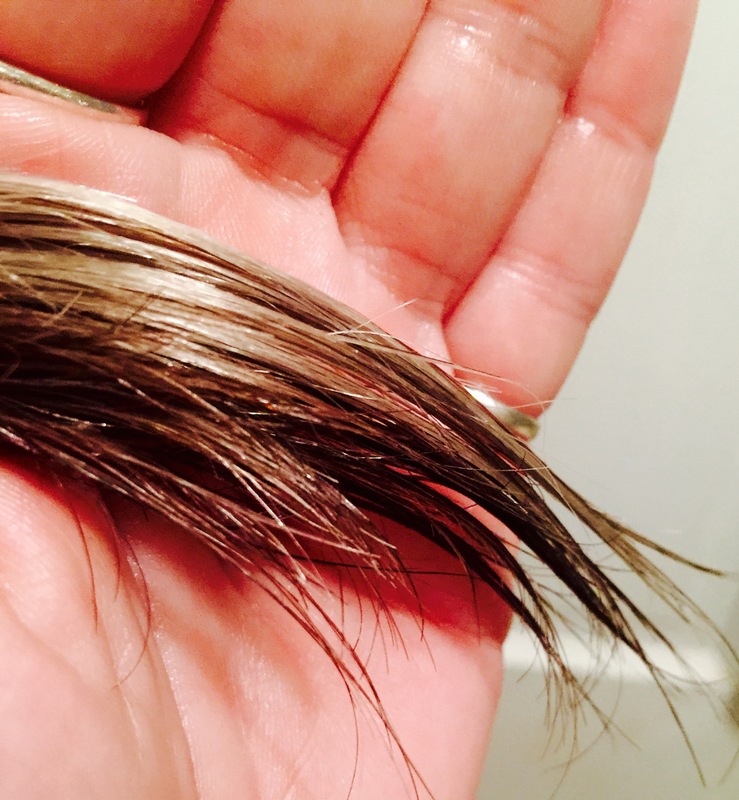 I loved the way my hair felt…smooth, silky, strong. I didn’t dry it completely, preferring to let it air dry rather than subject it to heat. I’m convinced. 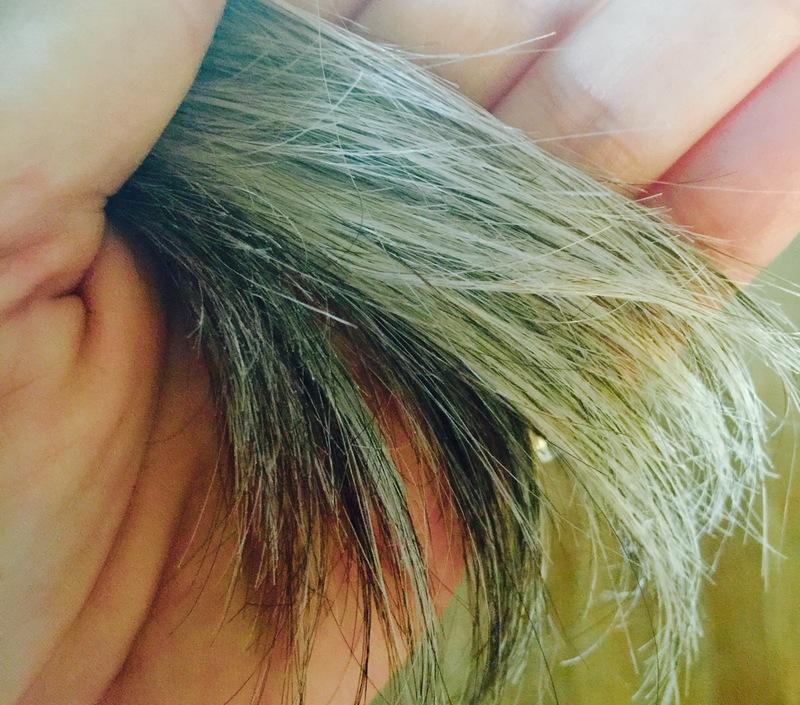 Coconut oil is not only great for my skin and face, it nourishes my silver mane as well. I’ll be doing this deep conditioning once a month. On this day, in 1858, the United States Patent and Trademark Office granted the patent for a wooden pencil with an eraser attached to the end. The inventor was Hymen Lipman, who was praised for his creation. The first pencils were painted yellow. This color signified royalty and honor. People found the new pencil easy to use for writing and drawing. 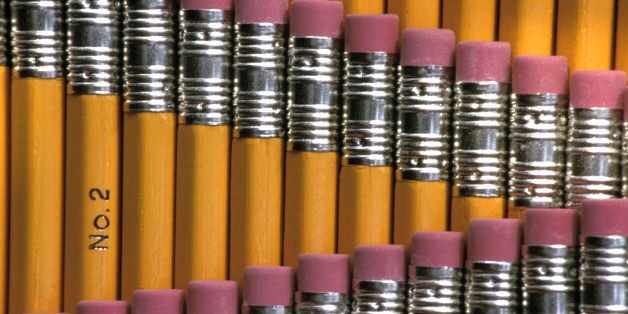 A single pencil can write 45,000 words or draw a line that is 35 miles long. It can also write under water, upside down, or in zero gravity. 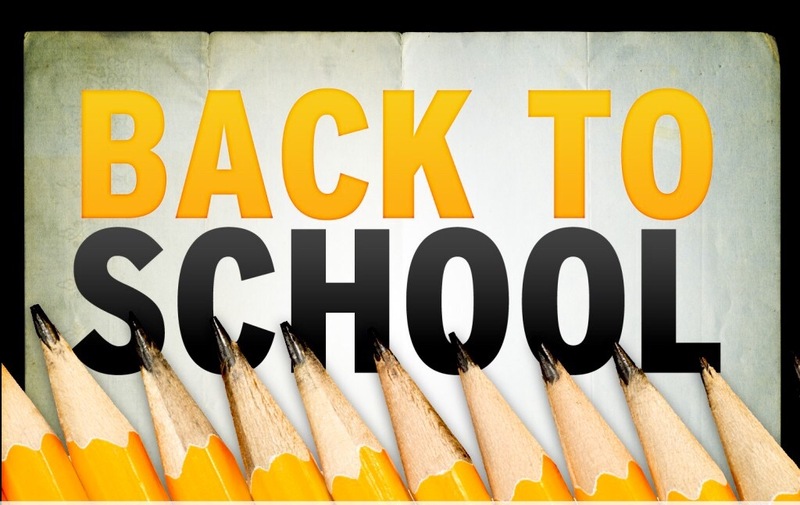 My fondest memory associated with pencils is returning to school in the fall, with brand new, freshly sharpened #2 pencils. What potential those pencils represented, what creative promise. Now I prefer to do my creative writing on my laptop. And although I would have a difficult time this evening locating a wooden pencil in my house to write with, I do have an assortment of sketching and colored pencils! 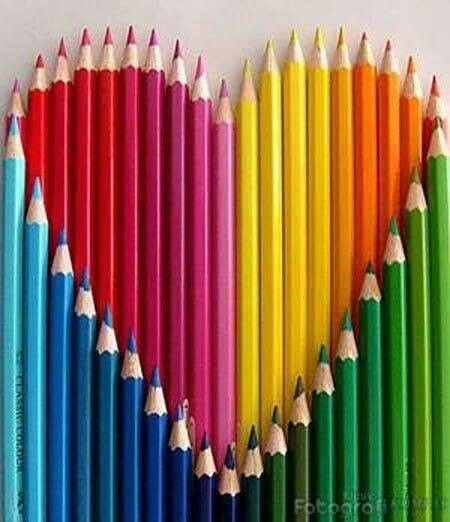 Colored pencils are a more recent invention, especially artist grade pencils. Not until the early 20th century were artist-quality colored pencils produced. Manufacturers that began producing artist-grade colored pencils included Faber-Castell in 1908 and Caran d’Ache in 1924, followed by Berol Prismacolor in 1938. 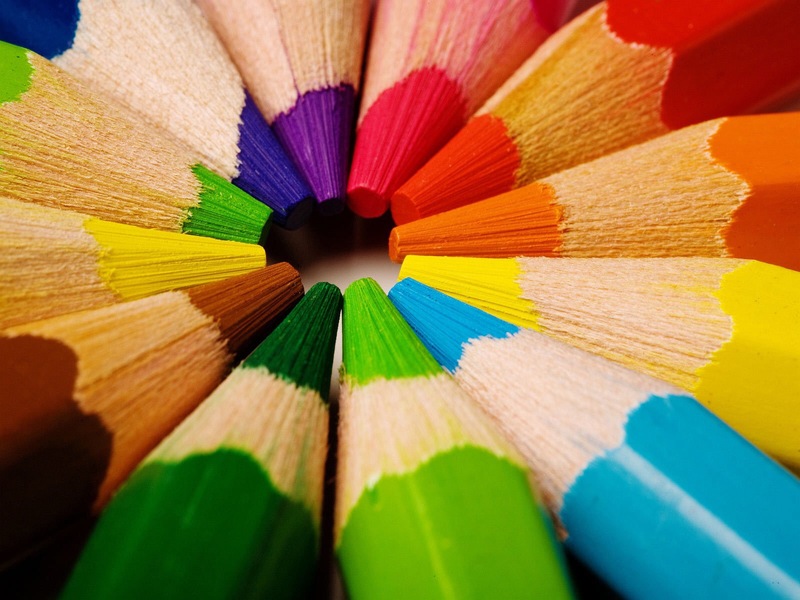 Rather than a graphite core, colored pencils have a wax or oil based core. The recent adult coloring craze has greatly increased sales for colored pencils. During the Christmas season, I had difficulty locating any packages of colored pencils, so great was demand. I’m grateful for the humble yellow graphite pencil that sparked my creativity for years. I did my creative writing well into my twenties with a pencil and a notebook. I think it’s time to purchase a package of new, freshly sharpened pencils to keep in my studio, to remind me of my roots and offer inspiration. And I’m grateful for sketching pencils and the wildly popular colored pencils that continue to feed and develop my artistic side. I still treasure my Crayola brand pencils and I’ve expanded into more expensive sets, including Prismacolor and Staedtler. 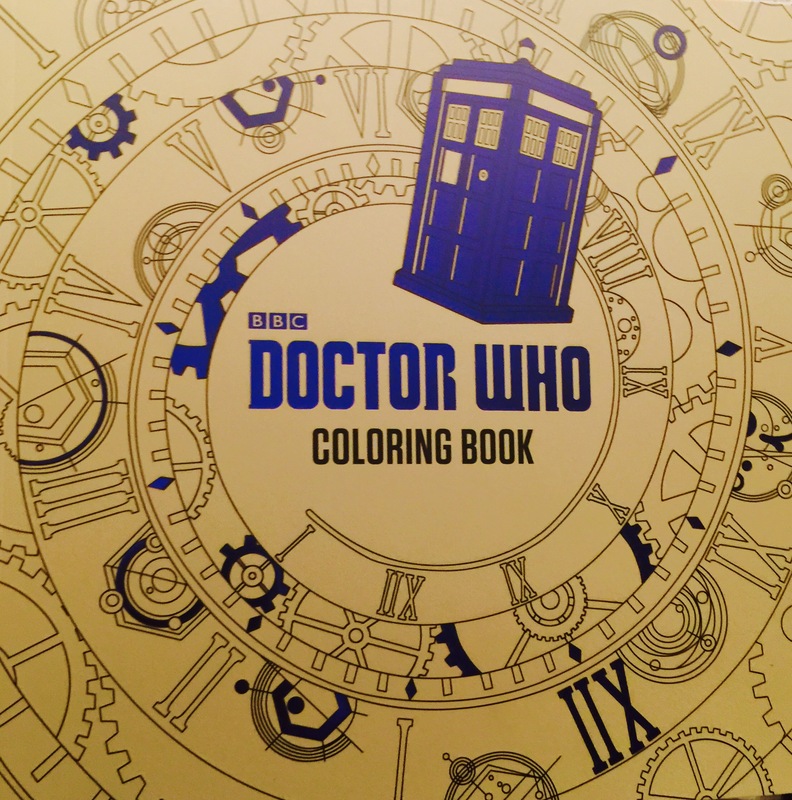 I have a new Doctor Who coloring book that I’m excited to delve into. I’m gathering up my pencils, on Pencil Day, for an adventure in Time and Space! This evening was another food prep night. After last week’s success of having meals ready to go in the fridge, I was excited to pull together another seven days of meals. I’m delighted with how the past week flowed. I ate at home for every meal, except lunch Monday, my Arkansas day. Which meant I saved money and I ate healthy, nutritious meals based on a whole food diet. I freed up time and energy by doing the meal prep and cooking in one evening. I loved the way that affected my life. Best of all, I feel great! 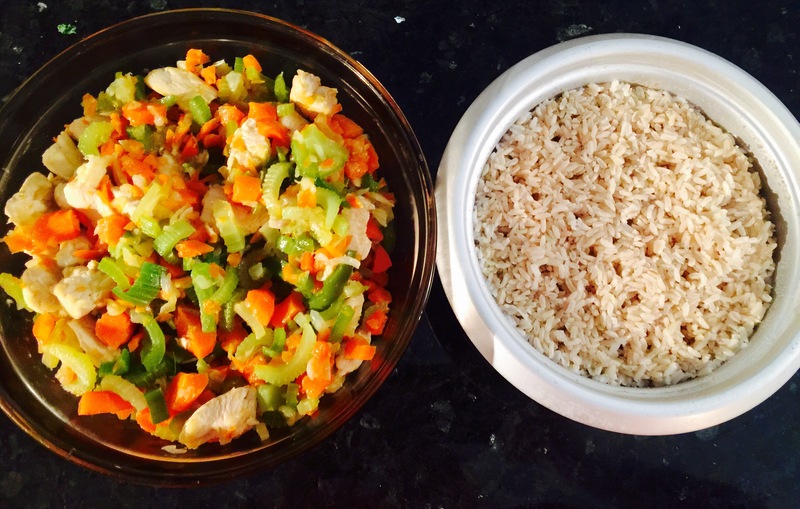 I enjoyed last week’s stir-fry chicken and veggies with brown rice for lunch and the slow cooker dump meals. For the upcoming week, I wanted to try new recipes and ideas, while continuing the celery juice every morning for breakfast. 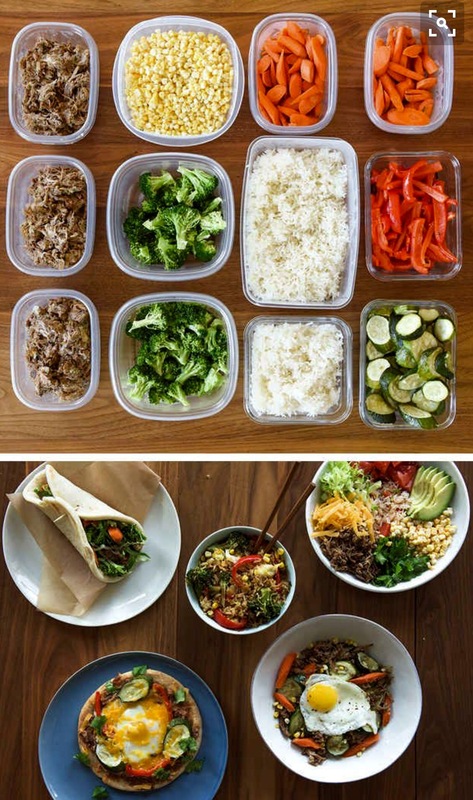 My intention is to create a couple of months of prep ahead meal plans. For lunches I decided on a daily salad. 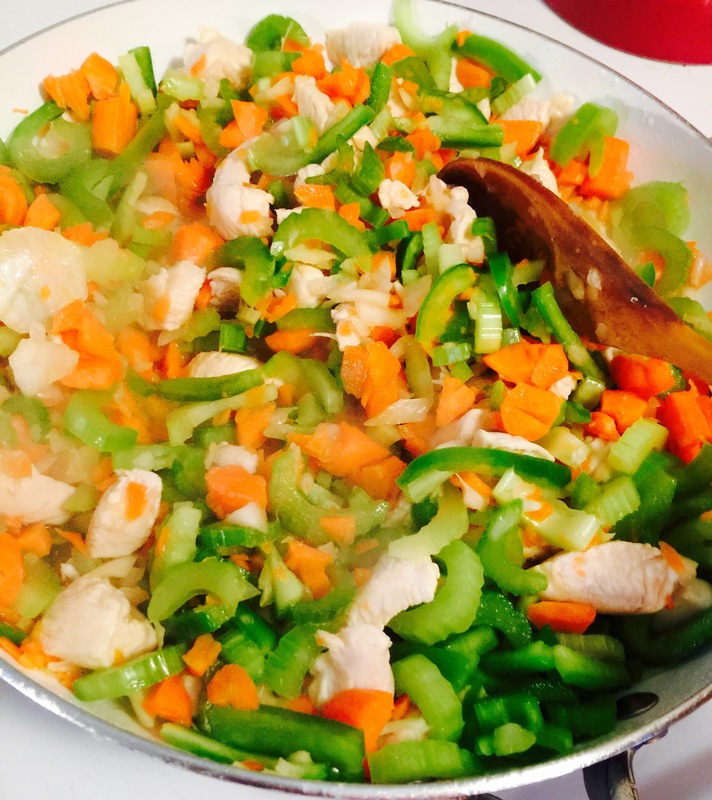 I grilled chicken and diced carrots, celery and tomatoes. I sliced strawberries to have ready and chopped romaine lettuce and spinach. I have boiled eggs, avocado and apples ready to add. I’ll be able to create various combinations every day. For dinners I found a great suggestion on Pinterest by buzzfeed staff member Christine Byrne. 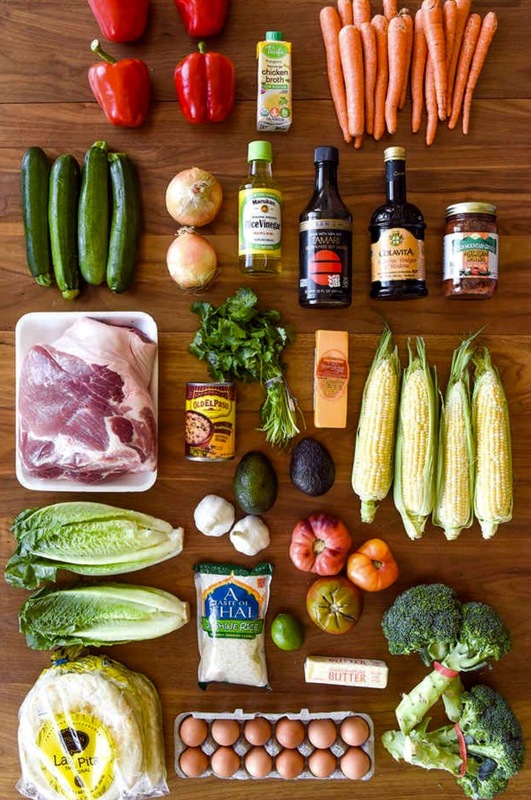 Her “How to Make 5 Weeknight Dinners” includes a shopping list, recipes and instructions on making five different meals from food that is prepped in an evening. The pork roast is the exception. It cooks all day in the slow cooker and is then shredded. After 2 hours and 15 minutes of prepping, as I sung along to favorites on my iPod, my refrigerator is stocked with another round of wholesome, nutritious food. In a few minutes each day I will have a fresh salad for lunch and dinners such as pork rice bowl and pork and veggie hash. The five meal suggestions will easily stretch to seven for me. I enjoyed my time of prepping and cooking tonight, humming and singing as I worked. Somewhere between chopping carrots and steaming broccoli, I realized that what I’m doing is similar to when I had the desire to write every day. 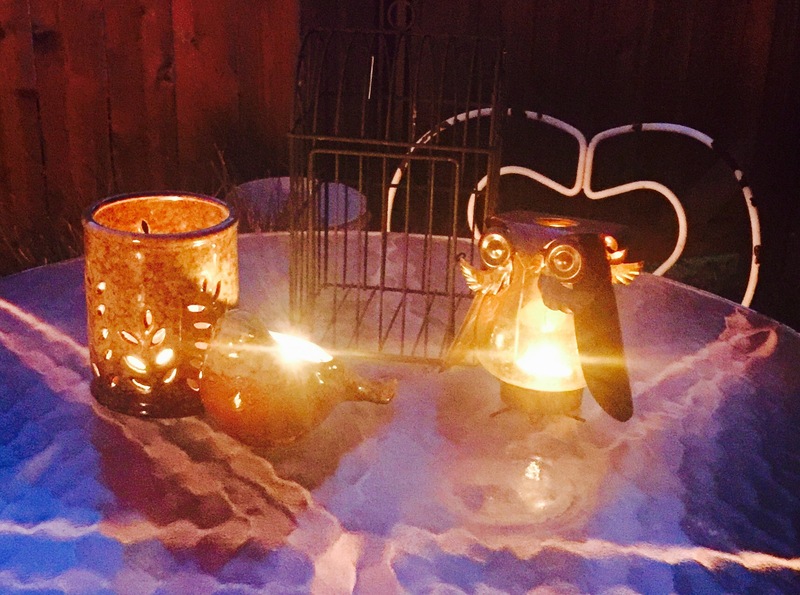 I wanted to write but I didn’t, until I began a daily blog. I’ve repeatedly expressed an interest in learning more about cooking, and then have not cooked. My desire was present. Purpose was not. 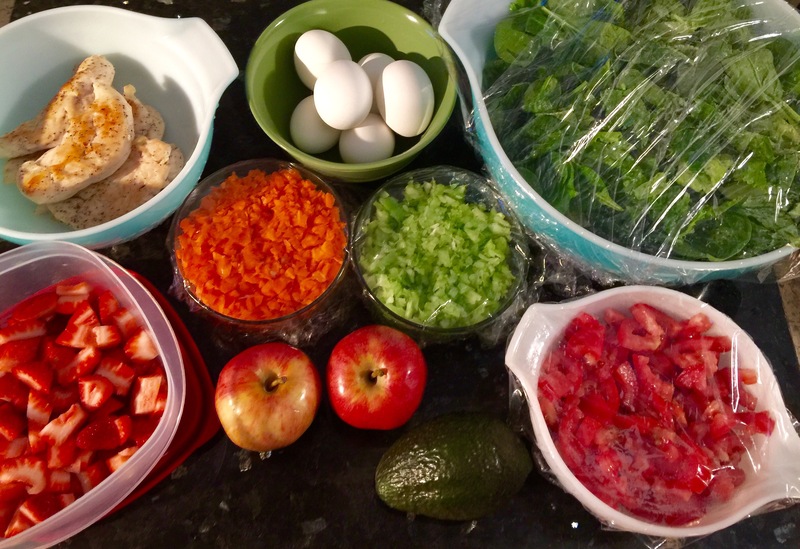 I’ve connected my intention to eat more healthily to cooking at home, trying new methods and recipes. Having a desire to cook was not enough. I had to have a reason to cook. I’ve found my reason. Taking care of myself feels good. And the cooking is fun. I’m learning new things and reaping the benefits from devoting an evening a week to cooking. 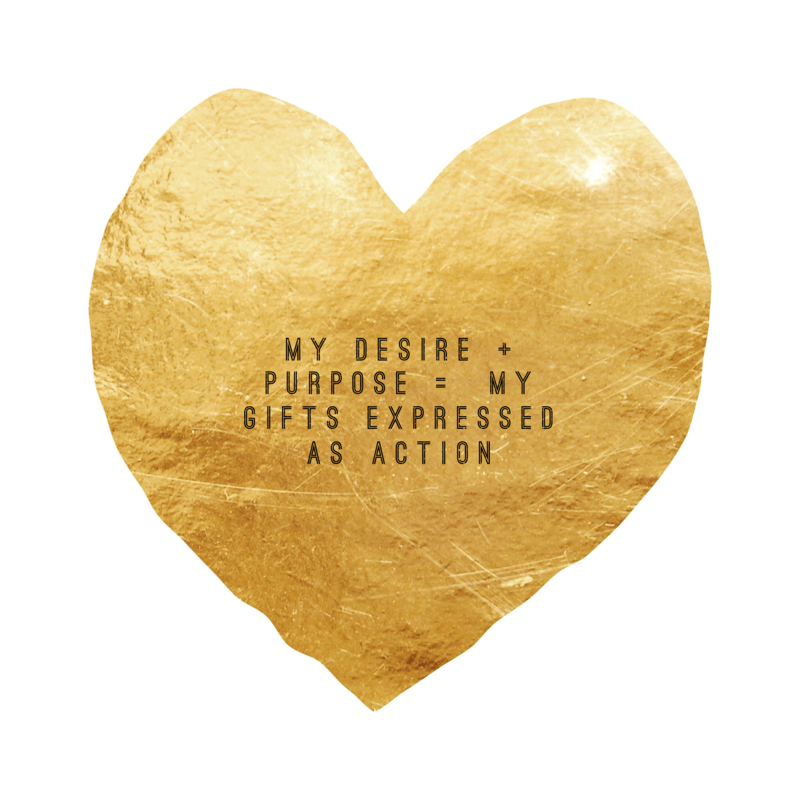 I found a meme that said: Your gifts & talents + Your heart’s desire = Your Purpose. I created a meme that shifts that quote around and expresses what’s going on in my life. I’m grateful for these opportunities to write, create and cook…and to learn more about who I am. As I have been packing up the house in Arkansas, room by room, it’s often the little, seemingly insignificant finds that tug at my heart the most or spark precious memories. Today’s discovery was one of these unexpected triggers into emotions and joyful recollections. Sorting through a stack of papers, cards and photos, pulled from a drawer, I uncovered a small collection of folded pieces of paper. 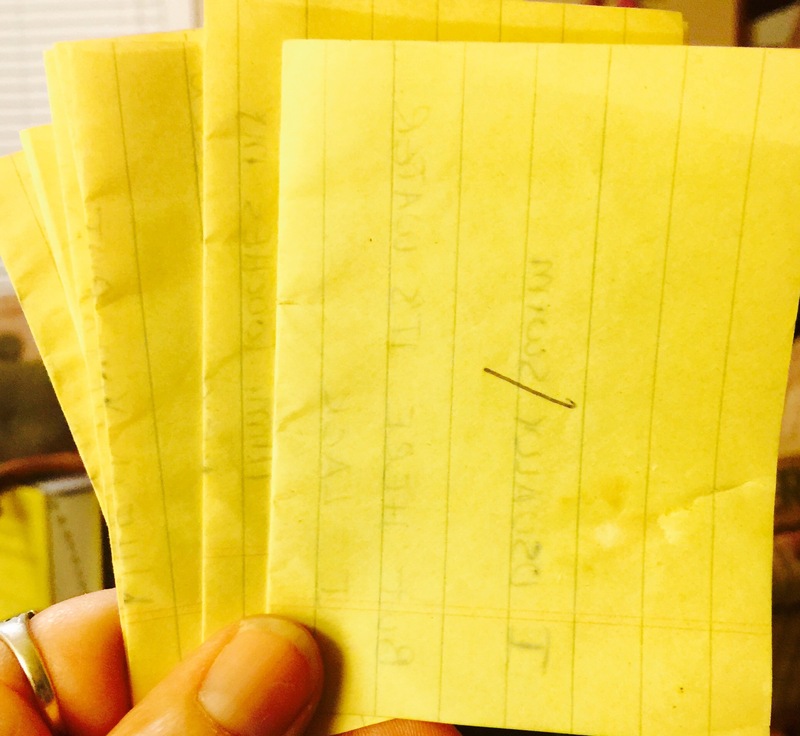 I could tell the yellow note papers had writing on them, and they were numbered on the outside. Opening one of the notes, I laughed, recognizing my own handwriting. Memory stirred. 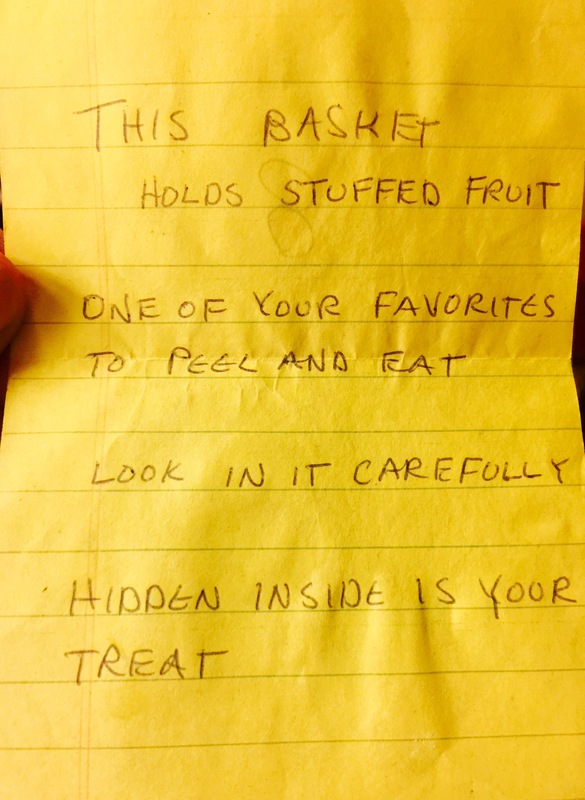 When my three children were young, I used to create scavenger hunts for them, writing out rhyming clues that led them through out the house or yard. Each clue led to another location, where they had to find the next clue, and so on, until the hidden treasure was found. The kids loved doing scavenger hunts. And I enjoyed creating them. 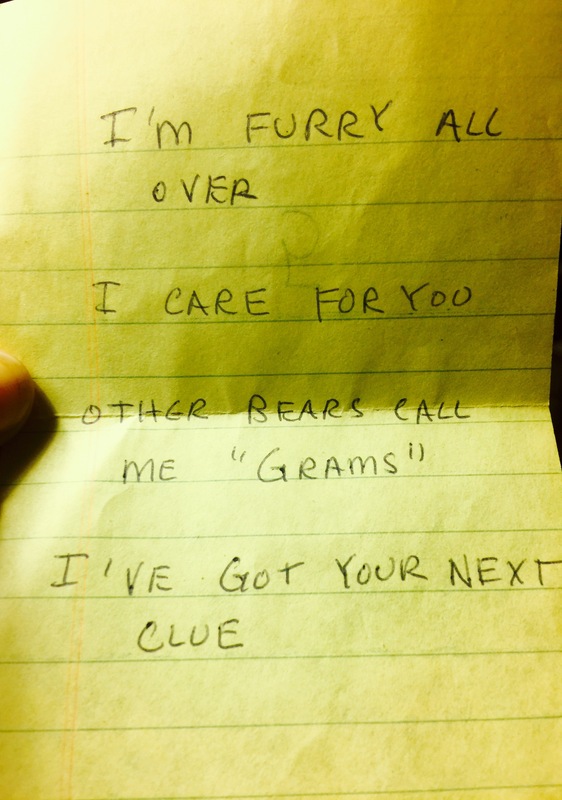 I had forgotten, until today, that I had once created a scavenger hunt while we were visiting the grandparents in Arkansas. I sent the children outside to play so that I could write up the clues and hide them, and tuck away a treat. 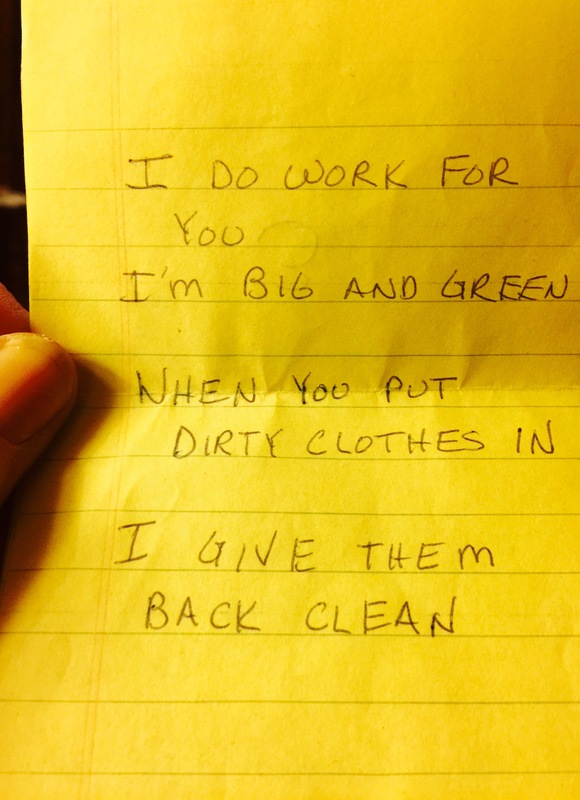 I placed one of the clues in the front pocket of Papa Bob’s shirt, instructing him to not give away the secret. He didn’t. He sat on the sofa with a big grin lighting up his face. The kids squealed with delight as they found that clue! Mimi Leta seemed to enjoy the experience as much as the kids. She had a wonderful child-like sense of wonder about life and the world. When the game was over, after the kids had found the hidden treat, I gathered the clues to throw them away. Mimi Leta asked if she could have them. She thought the whole idea was fun and clever. 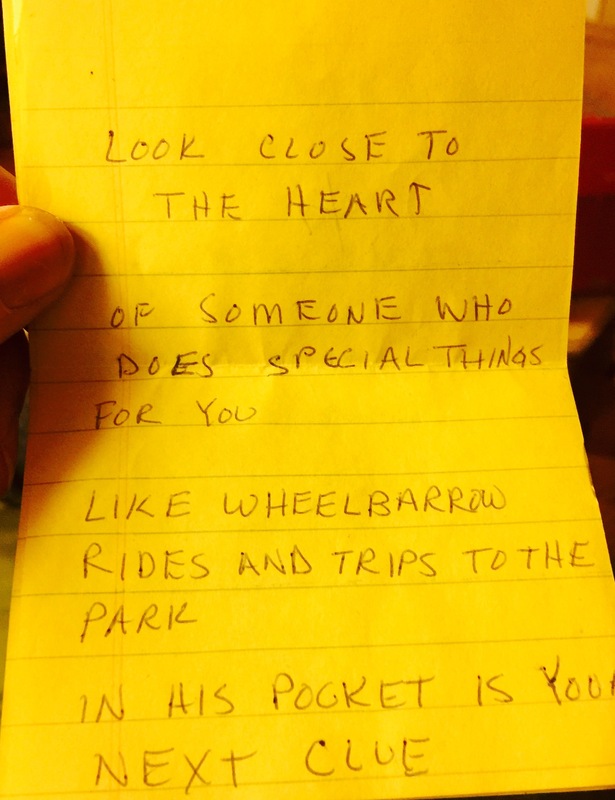 My eyes blurred with tears, reading through the notes this afternoon, realizing she had, indeed, kept these bright scraps of paper. I’m glad she did. I relived a wonderfully warm memory. I am a creative person. I always have been. Although I didn’t write as a career while my family was young, I never veered far from it. 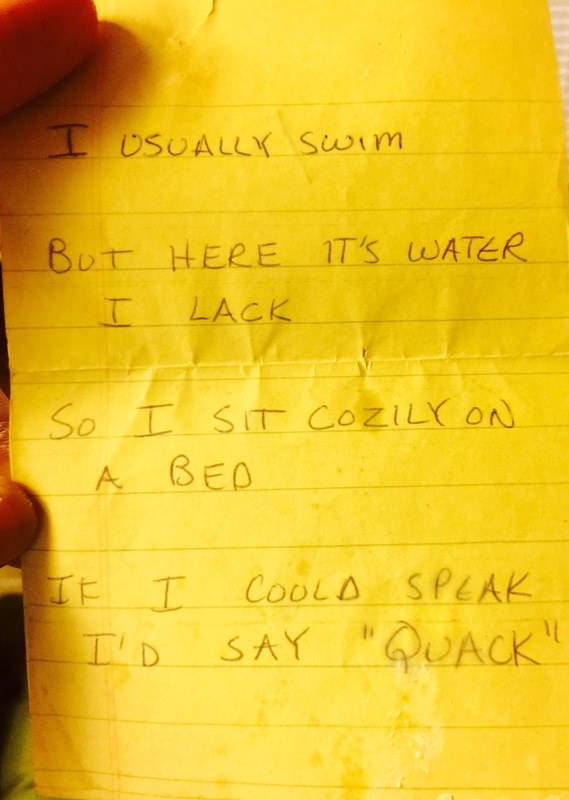 I wrote newsletters and school curriculum, stories and classes that I taught…and rhyming scavenger hunt clues. And, I live my life as one HUGE Divine scavenger hunt. Each day I watch for the clues that are given to me, leading me onward and upward to the next clue, or sign, and the next, and the next. There is as much thought and planning and joy evident in my daily clues as there were in my imaginative creations. I get it now. And while the last clue leading me to the final hidden treasure is going to far outshine any clue I ever wrote, or any treasure that I ever hid, what a journey of discovery I have been offered. What fun I am having. 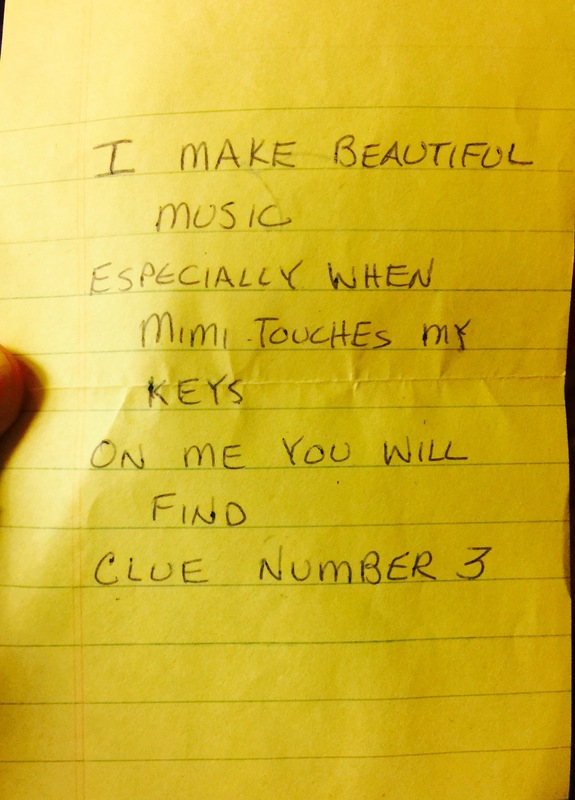 And the Clue Writer, the Dream Giver, expresses so much delight. Truly, there is joy in the journey…this journey full of clues and signs and surprises. On this glorious day, that celebrates Life, my sister Linda and I enjoyed the movie Batman vs Superman: Dawn of Justice. This action packed film just released this weekend. I grew up reading comic books and especially liked the super hero stories. Superman was my favorite. I was excited to see this latest installment in the franchise. 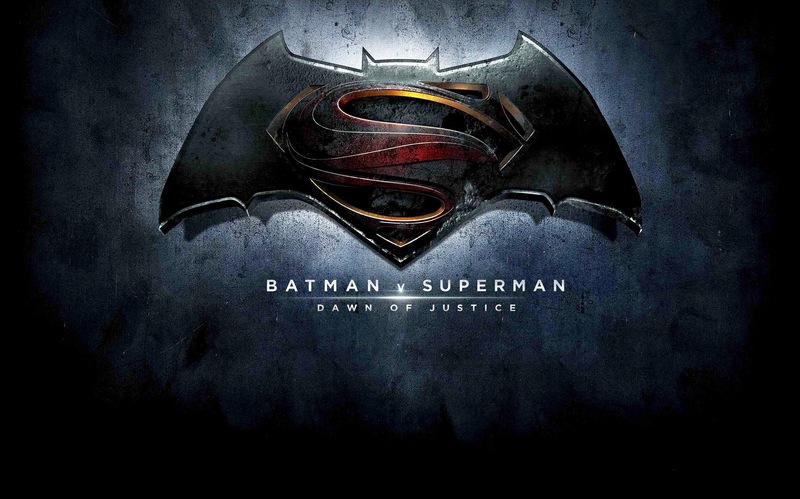 Batman vs Superman: Dawn of Justice stars Ben Afleck, Henry Cavill, Amy Adams, Jesse Eisenberg, Diane Lane, Jeremy Irons, Laurence Fishburne and Gal Gadot. The action adventure was directed by Zack Snyder and has a run time of 2 hours and 41 minutes. The film carries a PG-13 rating, for intense sequences and violence. Building on Man of Steel, from 2013, and the Batman lore captured over the last 27 years, this movie highlights the uneasiness the world feels with a hero as powerful as Superman (Cavill). 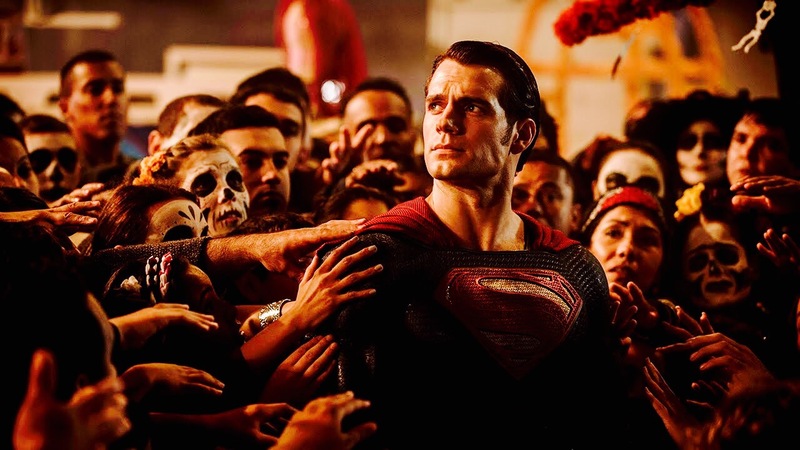 After the near destruction of Metropolis, depicted in Man of Steel, some fear that Superman poses a threat. While most still see him as a symbol of hope and safety, others see his power as unchecked and therefore dangerous. Superman continues as his alter ego, Clark Kent, writing stories for newspaper editor Perry White (Fishburne), loving the women in his life, fellow reporter Lois Lane (Adams), and his mother, Martha (Lane). He’s torn between living a human life and saving humankind, between those who need him and adore him, even, and those who fear what he can do. Bruce Wayne (Afleck) with his long time trusted friend Alfred (Irons), is very aware of the controversy growing around Superman. Bruce dwells often in his darker side, haunted still by the death of his parents, choosing to live a secluded, solitary life. 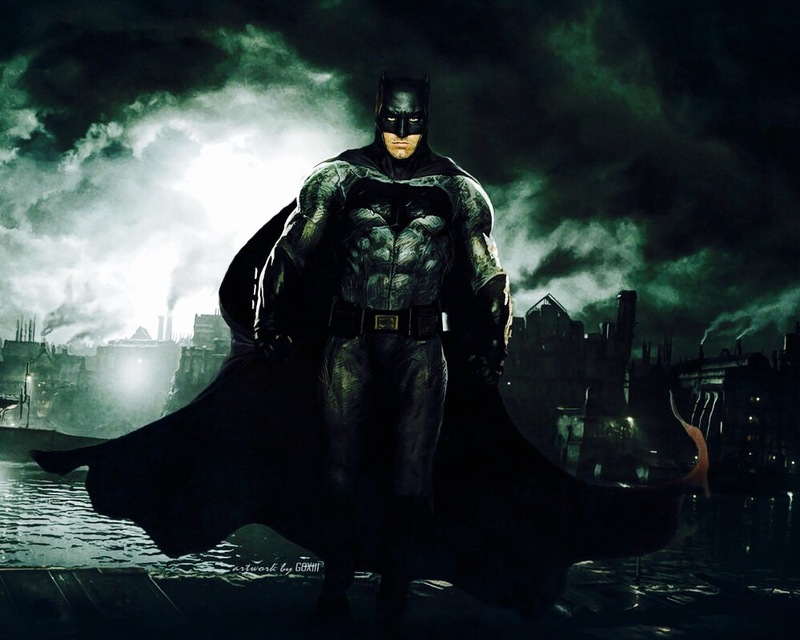 Although he responds to the call for help when it comes, by way of the bat signal that shines into the night sky, he sees himself as a glorified criminal. He is the Dark Knight, unafraid of using strong tactics to subdue or punish those who prey on others. 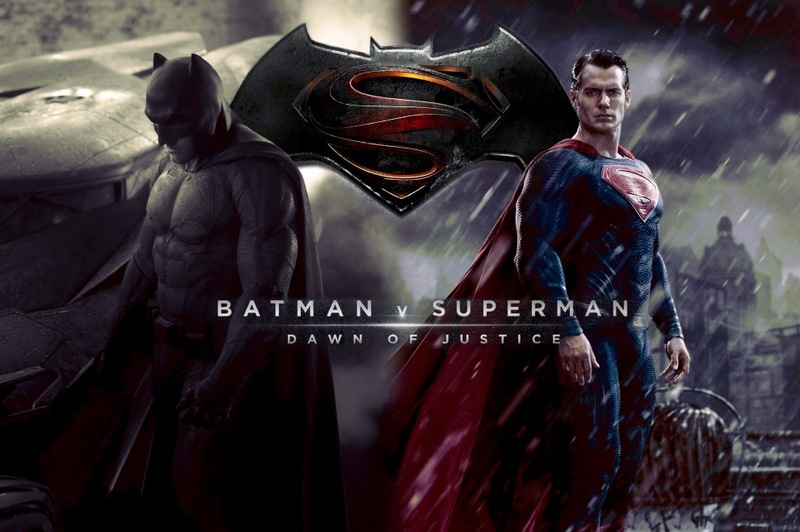 A brooding rivalry grows between the Man of Steel and the Dark Knight, as each questions the motives of the other. Quiet warnings escalate to all out war between them. 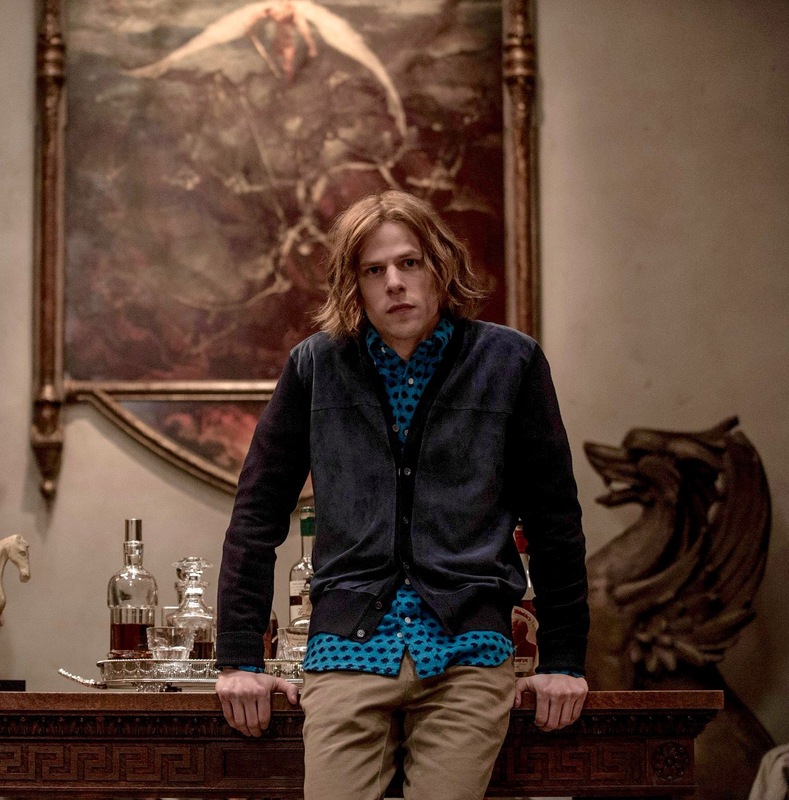 As they square off, a more ominous threat rises, as a manical young man, Lex Luther (Eisenberg), works on a dark plot that will not only destroy the city, but take out the two battling heroes. Help is available from a mysterious woman (Gadot), who is reluctant to reveal her true identity. Linda and I had great fun watching this movie! Yes, it’s long. But it didn’t drag along. The action and the building storyline fully engaged me and the time passed quickly. We skipped on large drinks from the concession stand for good reason! I love Cavill as Superman. And Afleck did an admirable job playing Batman for the first time. 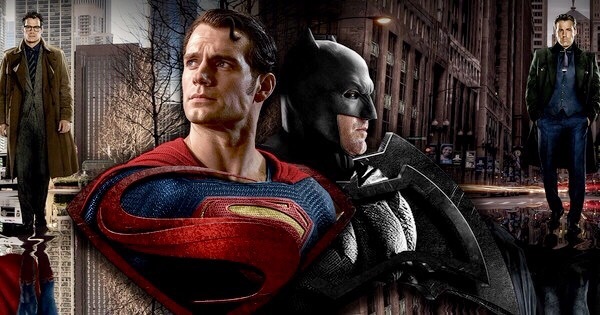 One of the things I appreciated about this film is that both heroes were portrayed with very human sides, in spite of the fact that Superman isn’t from Earth. They both have dark sides. They fight for justice. And they get angry, feel fear and frustration, and question who they are and what their purposes are. I’m delighted that this movie sets the foundation for the formation of the Justice League, a group of heroes that band together for the good of humanity. Doing a quick check on IMDB, I see a series of movies scheduled up until 2020, that will flesh out this story and bring years of viewing thrills. I know I’ll be there in the theater for each film, cheering on the good guys with super-human abilities and very human hearts and flaws. Thanks to my friend Mark, who is having a year of firsts, I became aware that today is National Make Up Your Own Holiday Day. How fun is that? Although tomorrow there is a 100% chance of rain, today the weather was perfect…warm and bright and not windy. 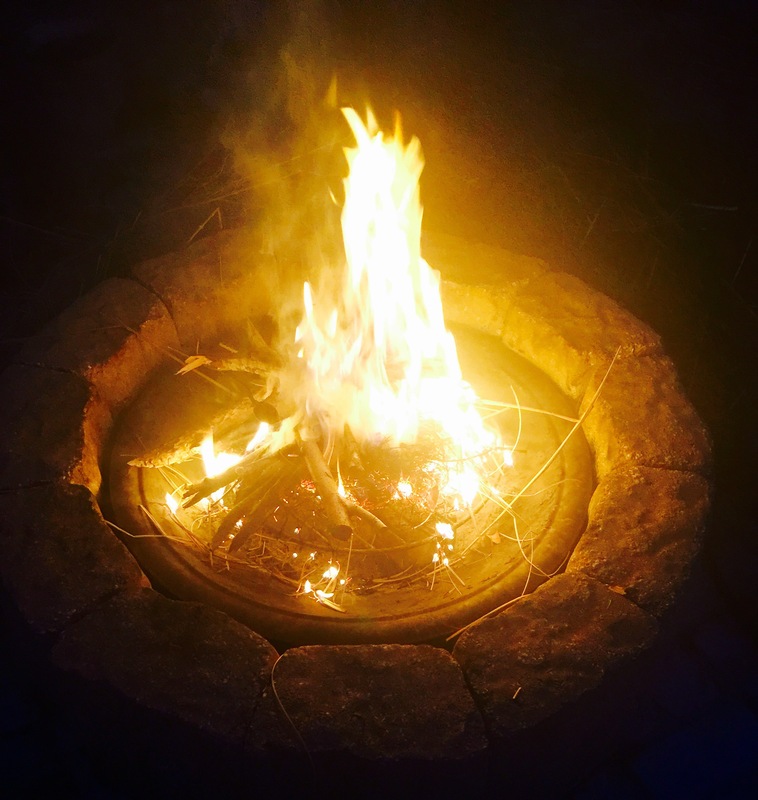 I declared today First Fire of the Season Day, and stoked up the fire pit in the backyard. 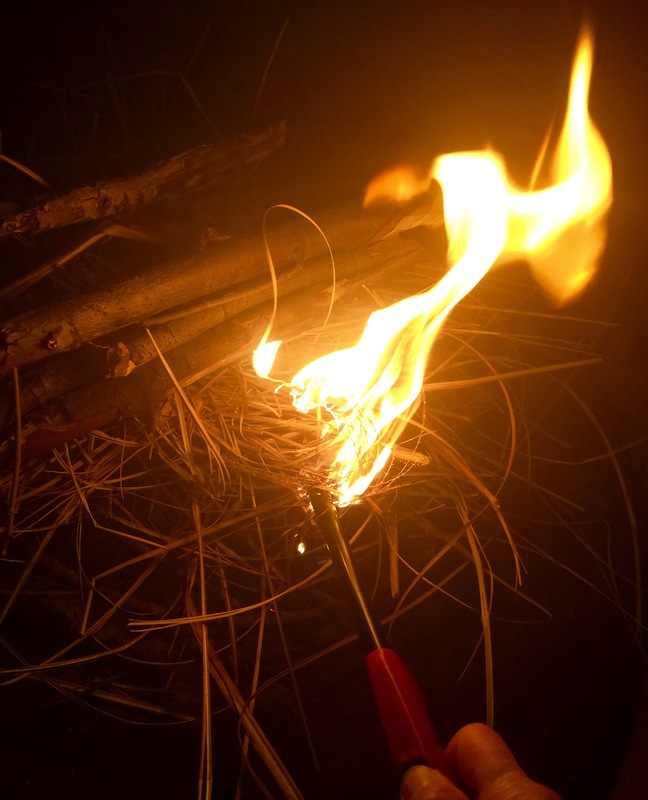 I used my childhood Camp Fire Girl training to start a fire. After a couple of sessions of cleaning up in the backyard, I have a ready supply of kindling. The dry ornamental grass stalks caught fire immediately, and they smell wonderful as they burn. Small branches were added next. Greg has graciously stockpiled branches and tree trunks that he’s cut to size, so that there is ample fuel for fires. This afternoon he cleverly fashioned a firewood holder out of a wooden pallet, cut in two, and 2x4s. What a beautiful way to celebrate my own holiday. 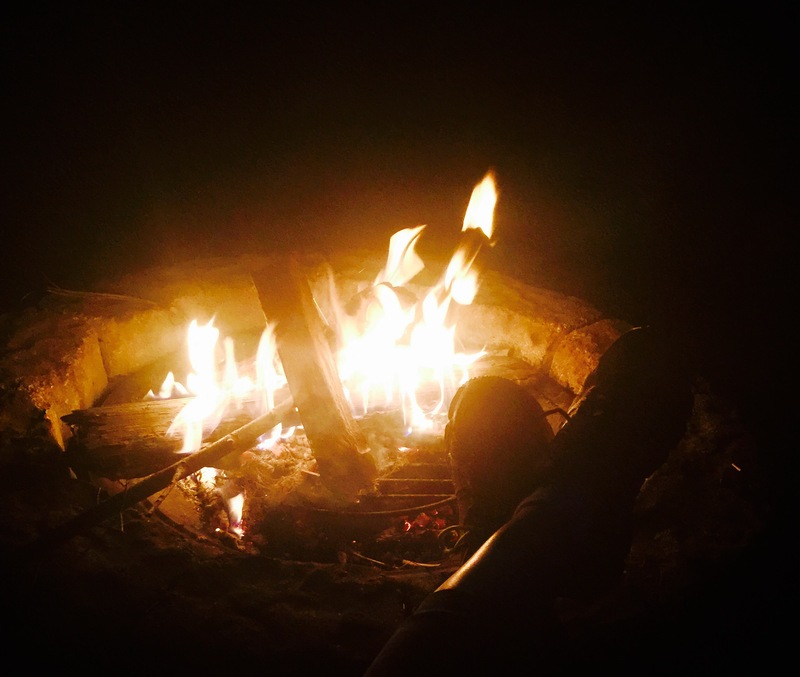 There is something magical, and mystical, about staring into a crackling fire. 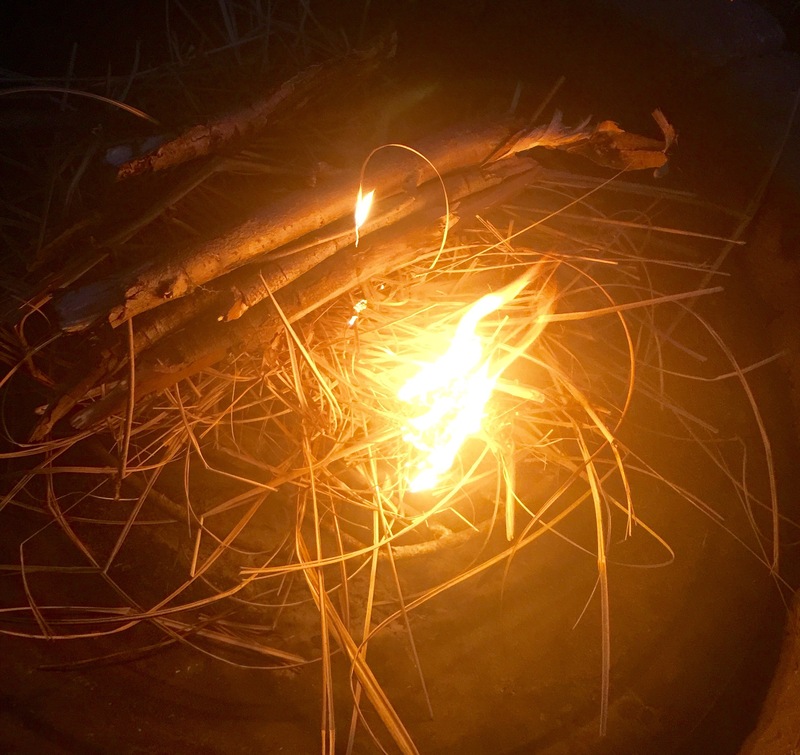 As darkness gathered, the first fire of the season was a merry promise of many more fires to come throughout the year. Truthfully, I could have created several holidays today. Meet with Intuitive Friends Day or Weed Your Mother’s Garden Day or Weed Your Own Garden Day, all would have been appropriate for this joy filled Saturday. I realized that every day is Make Up Your Own Holiday Day. The day is what I make it to be. Each day is a reflection of how I choose to honor the time given to me, or how I choose to disregard it. This day radiated warmth and light. This was First Fire of the Season Day. 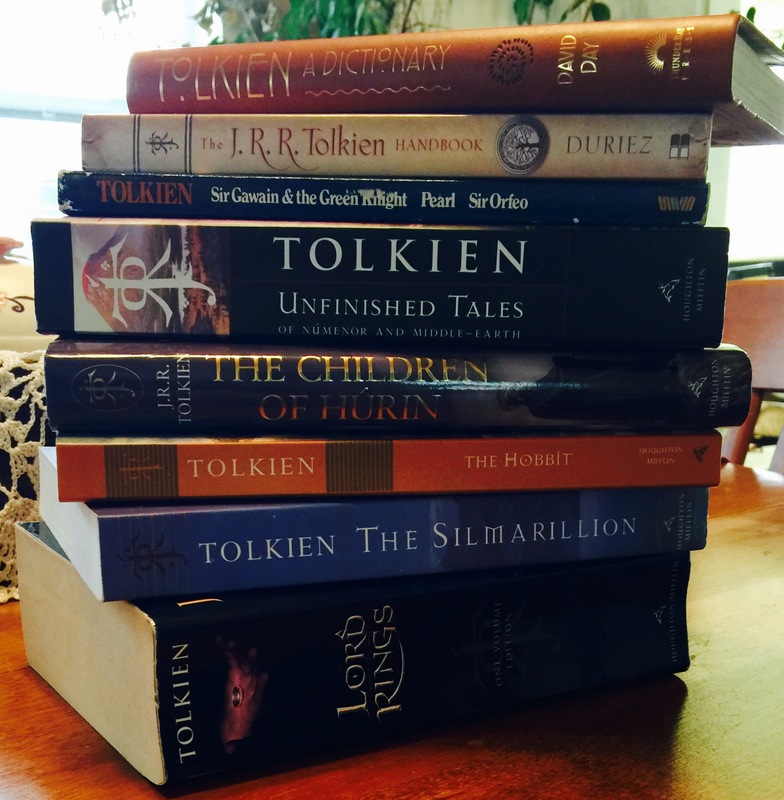 Today is Tolkien Reading Day, a global celebration of the writings of JRR Tolkien. Begun by The Tolkien Society in 2003, the event is intended to encourage people to read and discuss this amazing author’s work. 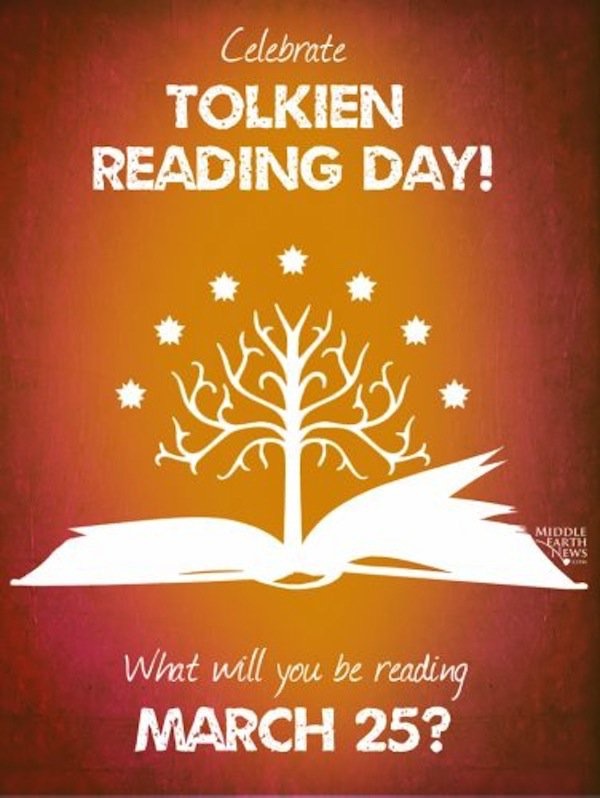 I discovered this holiday last year and I’ve looked forward to reading from a selection of my Tolkien books today. There is a different theme every year. Life, Death and Immortality is the theme for 2016. I enjoyed a quiet time this morning, reading from The Lord of the Rings and The Silmarillion and a beautiful leather Tolkien Dictionary that my grandson Dayan gave me for Christmas. 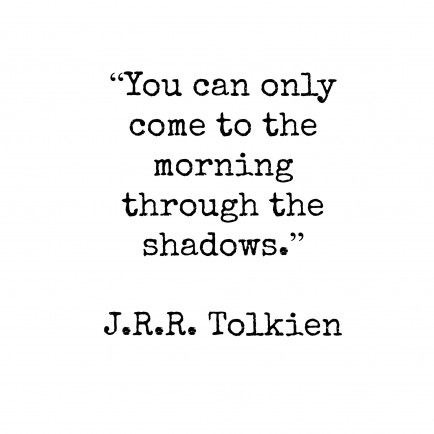 Tolkien is one of my favorite authors and his words have the power to stir me deeply. The holiday and theme of Life, Death and Immortality carried greater significance for me today. A dear friend of mine died five years ago this month. He possessed a beautiful soul. He was also a beautiful mess. Big-hearted, fun loving, one of the best huggers in the world, he appeared to be a happy, successful man. However, like so many others, inside he was a broken man, full of angst and deep wounds. To him, there was no healing from his inner pain, which descended upon him at unexpected times, robbing him of joy and hope. During his last bout with despair, he ended the pain by taking his own life. I have carried that memory for five years. It has been a very solitary journey in which I have worked my way through shock, grief, and anger to acceptance, forgiveness and finally gratitude for the impact he had on my life. My journey now is what it is, because of his life and death. I have also been the caretaker of my friend’s cremains, his ashes contained in a large brass urn. Many times during the last five years I’ve thought of spreading his ashes in a beautiful place that he loved. There was one problem. I couldn’t get the urn opened. Recently, it has felt like the right time to release my friend, to symbolically free him and free myself, to let him go. If only I could get the urn to open. A week ago, I asked him for help, from the Spirit realm, if this was indeed the right time to do this. Tuesday, in an unexpected turn of events, the urn was opened. It was time. This was a gorgeous day to say “I’ll see you again some day.” I walked along the river, which is my symbol for this year. 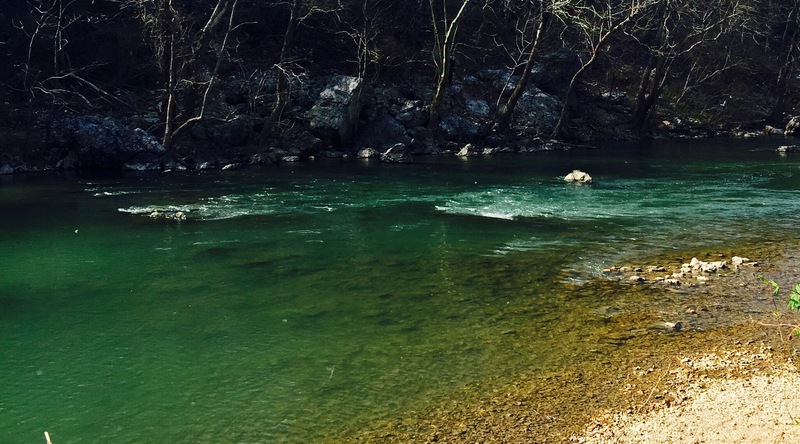 The river also symbolizes Life and Transcendence, Flow and the Passing of Time. I found the perfect spot to release the ashes. I played his favorite song. His wristbands adorned my wrist. I spoke quietly to him, thanking him for touching my life. I invited his shining spirit to visit me anytime. I wished him peace and joy and love. And scattered his ashes along the river. The sun was brilliant upon the water. And the air was perfectly still, yet charged with energy. 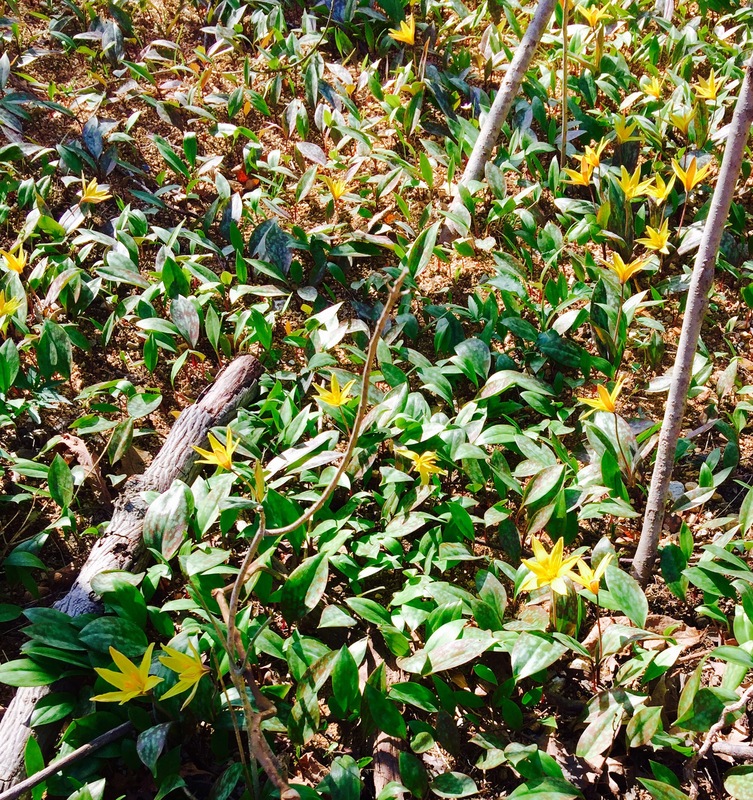 I suddenly noticed yellow wildflowers growing all around me. I felt peace. I read a quote of Tolkien’s, which was so right for the day. And headed home. 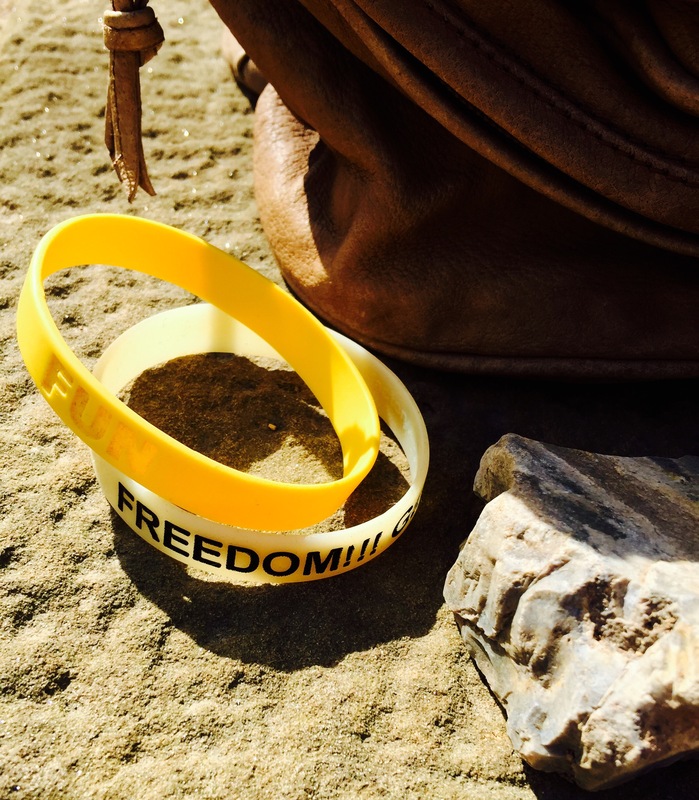 As I walked to my car, I sling-shot the wrist bands deep into the woods, where they can rest among the flowers, reminders of his presence in this place that he loved. Today’s post is really a continuation of yesterday’s, a part two. It is about how this day felt open and humming with energy because of the preparations that I made yesterday. I prepared a week’s worth of meals last night, in barely two and a half hours, choosing to spend time in the kitchen so that I wouldn’t have to think about what I was going to eat the rest of the week or mindlessly grab fast food to consume. I loved the difference I noticed today. Knowing that I had simple healthy meal choices readily available freed me to focus on other projects. After drinking hot lemon water and celery juice in the morning, I didn’t eat lunch until mid-afternoon. I took a break and ate when I felt hungry and not according to the clock. The simplicity of the stir-fried chicken and vegetables with brown rice appealed to me. I was mindful. 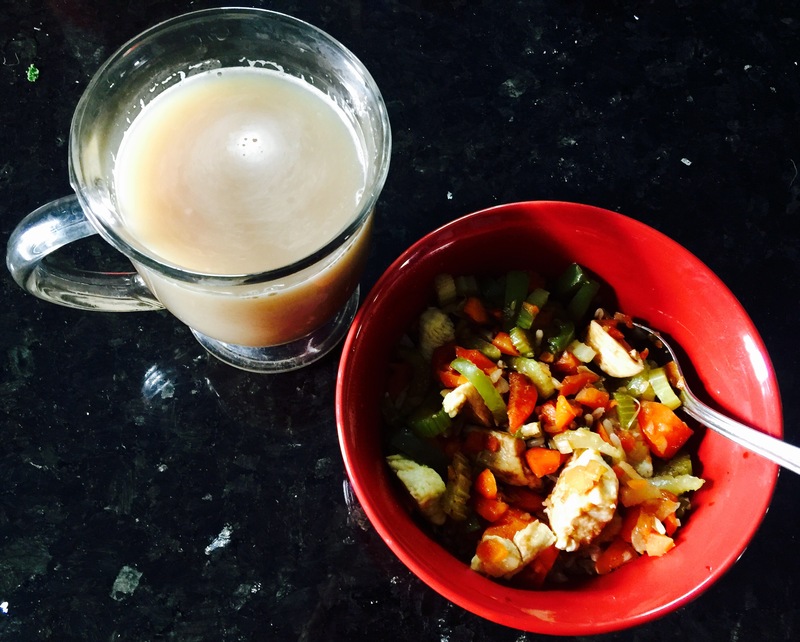 I took time to savor my meal, enjoying a cup of hot tea with my lunch. There was beauty found in the mix of colorful veggies in the red bowl, that nourished me at a soul level. This afternoon I dumped the Red Pepper Chicken mix into the slow cooker. As I worked in my studio I enjoyed the tantalizing aroma of my dinner cooking without my involvement. I felt a surge of creative energy that enabled me to accomplish what I had intended to today and also deal with “stuff” that was starting to accumulate in my studio. I also created a couple of small vignettes, using treasures that I’m bringing home from Arkansas. 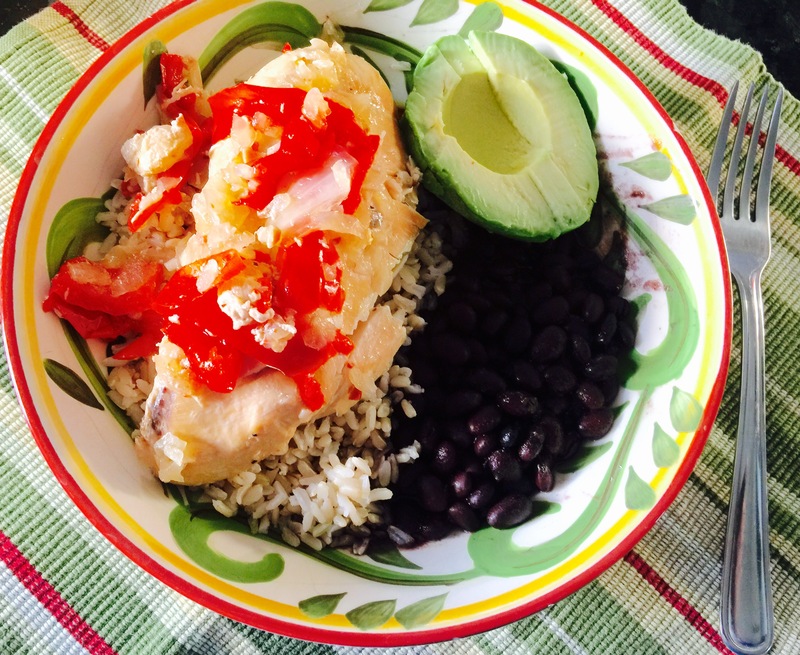 The chicken with red peppers was delicious, served with brown rice, black beans and avocado. I’ll definitely keep this slow cooker dump meal in my repertoire. 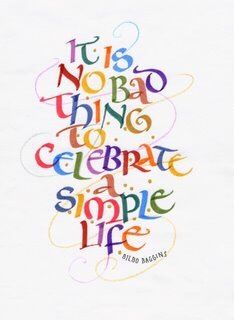 A simple life is calling to me…simple pleasures, wholesome food, movement, creativity, alone time, exploring as I travel, gardening. It’s an ongoing journey. I’m excited to see where it leads. It happens every spring. As the trees and plants and flowers stir and awaken, so too does my desire to eat healthier. I think my body wants to hibernate throughout the winter. It gets sluggish. I want to eat more. As the days grow longer, the abundant sunshine triggers a surge in energy in me and a greater awareness of my health and well being. This evening I spent time in the kitchen, prepping for a week’s worth of meals. I’ve been saving recipes on Pinterest, for this purpose. After a trip to the grocery store, I was ready. I am heeding a call, surrendering, to simplicity and nutrition, focusing on whole foods. For breakfast each morning, I’m enjoying a cup of warm lemon water, followed by 16 ounces of fresh celery juice. If I need something before lunch I’ll have an apple or a handful of walnuts. Lunch will be a bowl of brown rice or black beans, topped with stir-fried chicken and vegetables and half an avocado. The food is cooked and in the fridge, ready to eat. For dinners I prepared a couple of healthy slow cooker dump meals. I’ve been looking forward to trying these. There’s a huge variety of recipes available on Pinterest. Combine all ingredients in crockpot and cook for 3-6 hours, or until chicken is cooked through and tender. 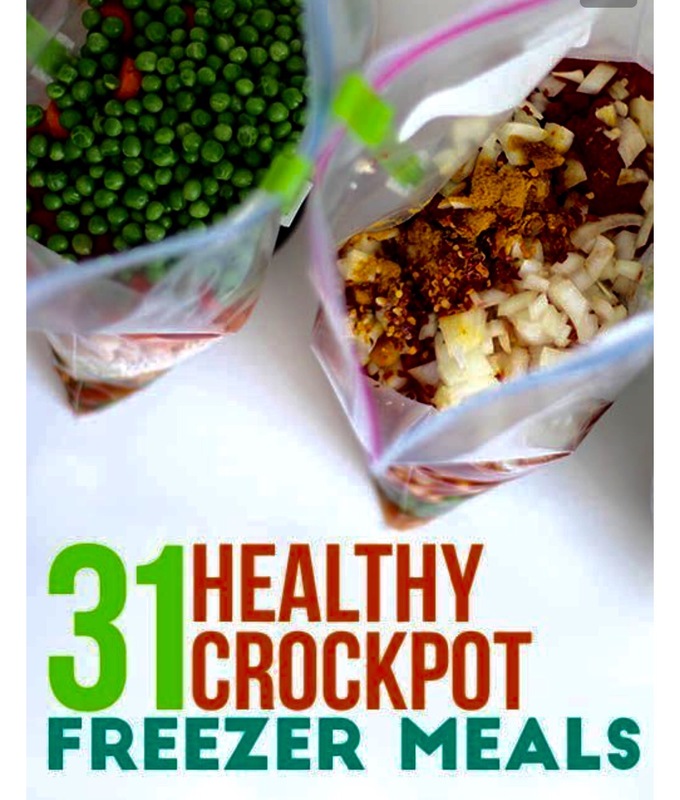 Or freeze in one gallon bag. 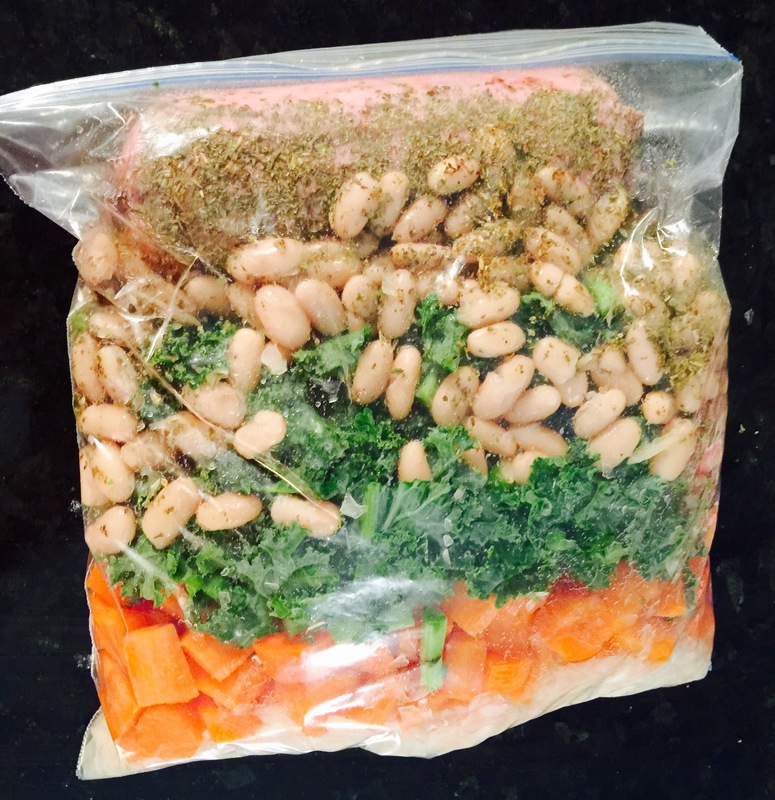 To use, thaw overnight in refrigerator and cook for 3-6 hours on low. Combine all ingredients in crockpot and cook on “low” setting for 8 hours, or until carrots are soft. Or freeze all ingredients except broth in one gallon bag. 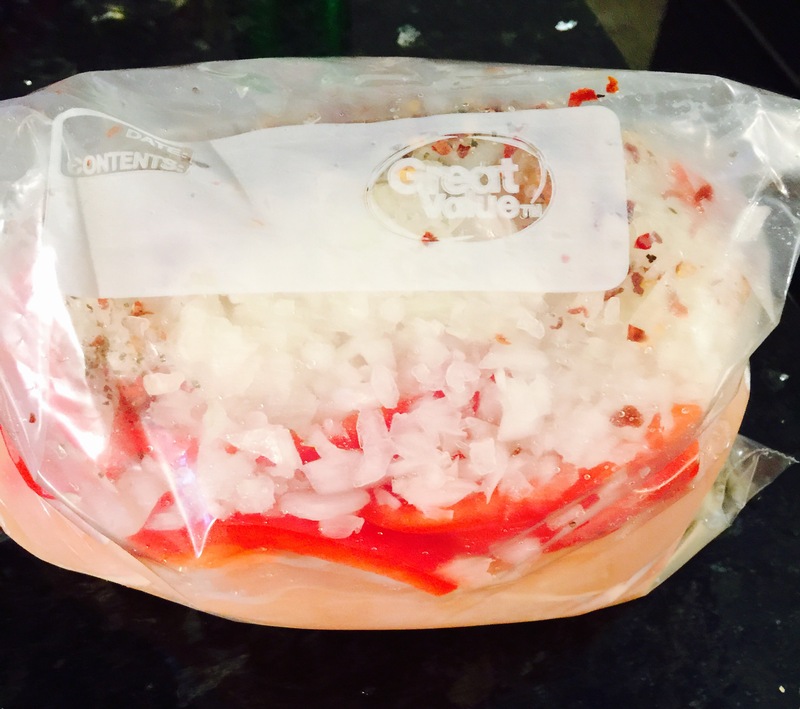 To use, thaw overnight in refrigerator, dump into slow cooker and add 8 cups of chicken broth. Cook on low for 8 hours. Both recipes are from newleafwellness.biz There are lots of additional recipes on her site. Two and a half hours of prep, and that included clean up, and I have a week of meals ready to go. Each dinner recipe makes enough to eat on 2-3 times. My grocery bill for the adventure today was $29. I’m excited to be listening to my body’s desire to eat healthily, and pleased to be saving money by eating at home. 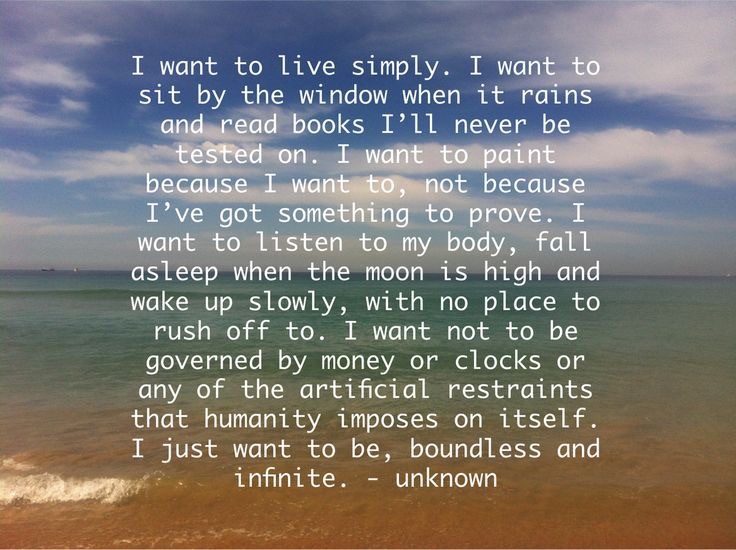 Most of all, I’m relishing the idea of simplicity and wholesomeness. That nourishes my body and my soul. I had the opportunity today to try a restaurant for the first time, an experience I always enjoy. 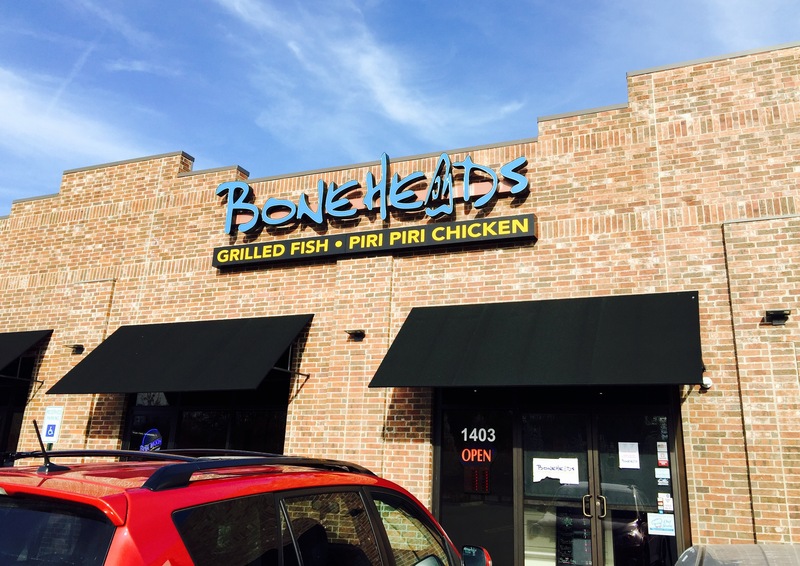 I joined Greg and his cousins, Pam and Linda, at Boneheads in Bentonville, AR, for an early dinner. I was intrigued. This franchise, with 14 locations scattered primarily throughout the South, features grilled fish and something called piri piri chicken. Piri piri is a small pepper that grows in Angola, Uganda, Malawi, South Africa, Ghana, Nigeria, Zambia, Zimbabwe, Mozambique, the tropical forests of South Sudan and the highlands of Ethiopia. It was brought to India by the Portuguese. This spicy pepper is the foundational ingredient in piri piri sauce, which also contains lemon juice, vinegar, oil, citrus peel, onion and a variety of herbs and spices. Boneheads marinates chicken in the sauce, and uses it as a base for other sauces. 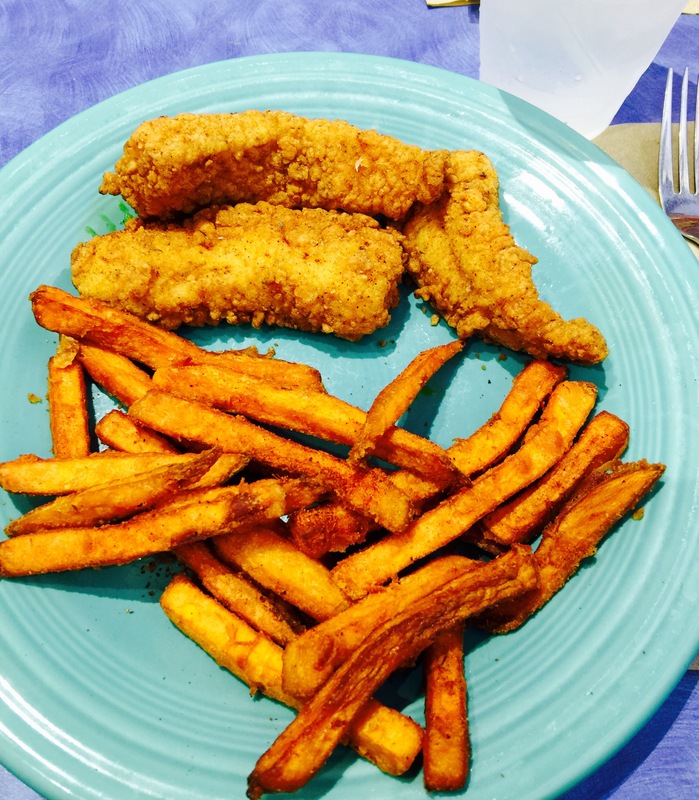 There was another piece of fish on this plate and more fries. I forgot to take a pic before I started eating. I ordered the fish and chips, getting perfectly seasoned sweet potato fries rather than regular fries. 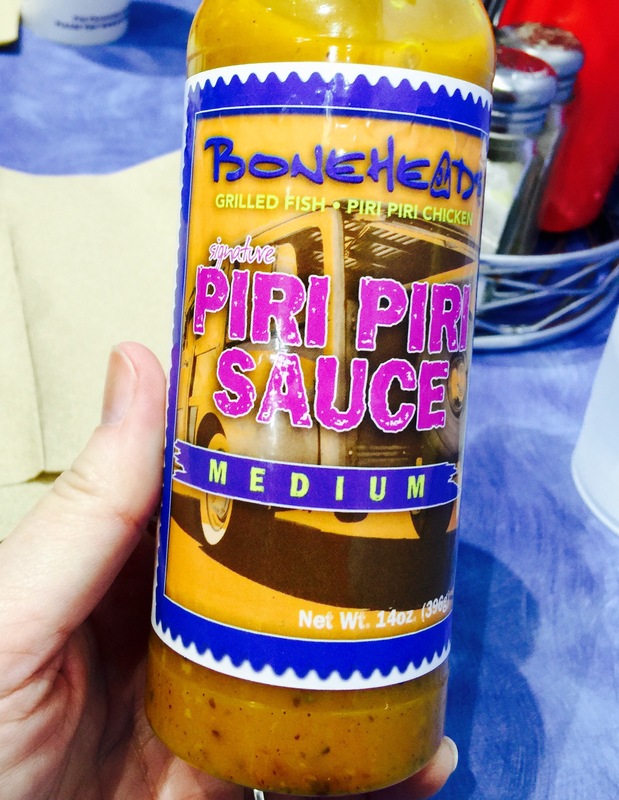 We had several choices among the bottles of piri piri sauce on the table. I sampled the medium heat sauce. It was a delicious accompaniment to the tasty fish! Greg also had fish and chips, while Pam and Linda tried the shrimp and chicken. 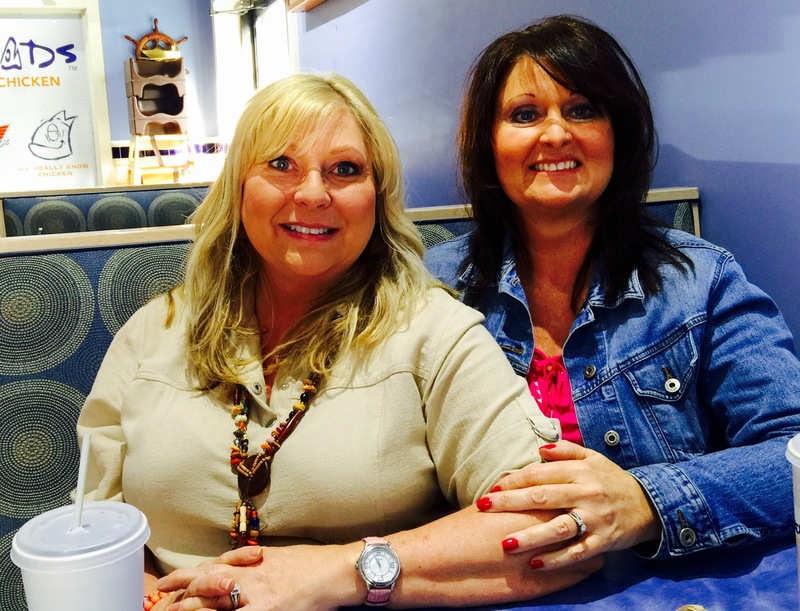 We had a leisurely dinner with these pretty girls, catching up on news and families. Linda lives in Illinois, so it is great to connect when she’s in Arkansas for a visit. Although I see Pam more often, it’s always wonderful to see her too! They graciously allowed their picture to be taken, to capture the moment. It’s a good thing the restaurant wasn’t busy with their dinner crowd yet, as we got the giggles during the impromptu photo shoot. 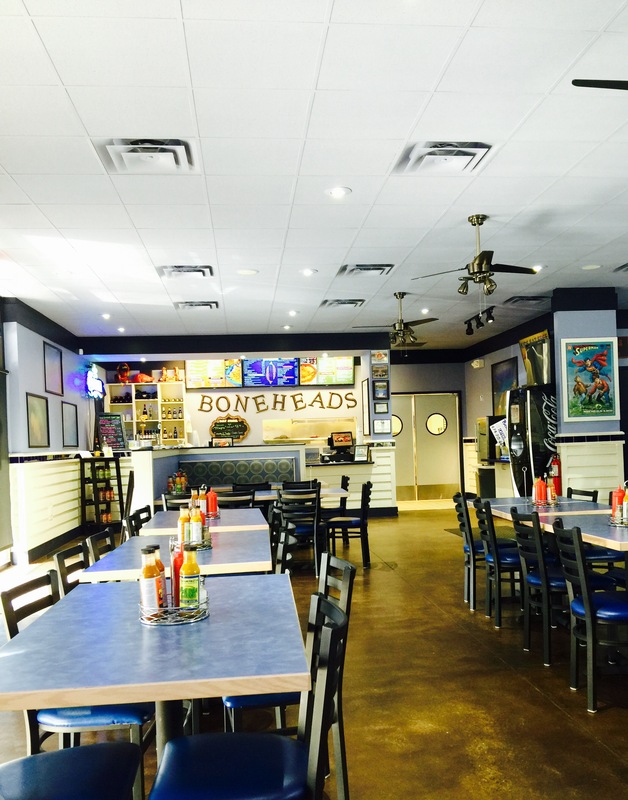 I highly recommend Boneheads, with their bright and clean interior and festive atmosphere. I look forward to sampling their grilled mahi mahi or the piri piri chicken on another visit. And I look forward to another cheery meal with Pam and Linda. Let’s get together again soon.